Teeth whitening services provided to you by dental professionals. Building confidence one smile at a time. Whitening your teeth has never been easier. 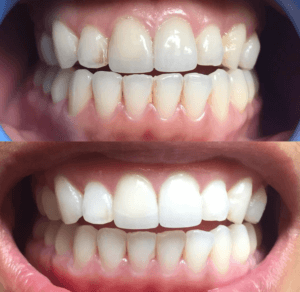 All natural, plant and mineral based products, online booking, after hours and weekends, mobile teeth whitening units—immediate results delivered to you by dental professionals. My experience with District Teeth Whitening was great! They were so nice and made sure I was comfortable throughout the entire process. 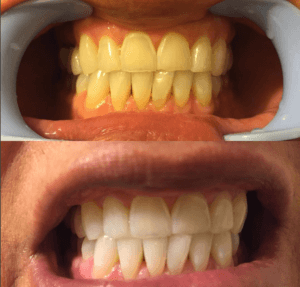 My teeth were much whiter after just 1 session. Highly recommend! I had a wonderful experience with District Teeth Whitening services. Professional, informative, explained every step in the process and educated on maintenance. Even better, sessions were completed in the comfort of my home! I couldn’t be more satisfied with the results of my teeth whitening session. 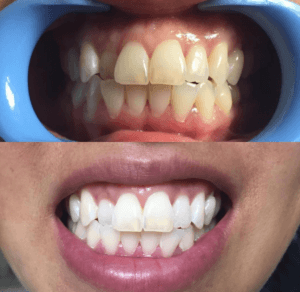 Teeth whitening strips, gels and toothpastes couldn’t provide me with noticeable long lasting results. But District Teeth Whitening made it easy, convenient and worth it. The service was detailed and professional. It’s been months since my first appointment and my teeth are still brighter than ever. Highly recommend.